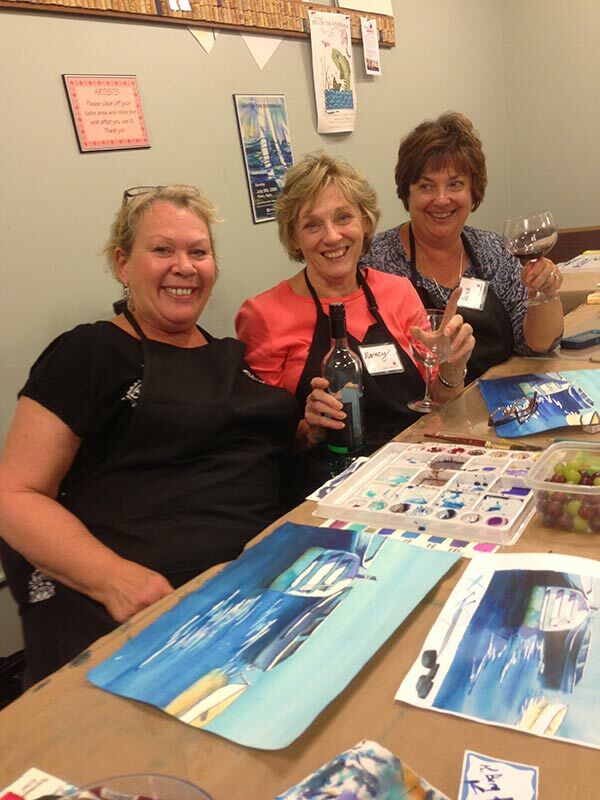 We offer a unique painting experience with watercolors NOT acrylic on canvas. You will experience various watercolor techniques that will make your watercolor masterpiece come alive! We use professional grade materials, Arches watercolor paper and acid free matting ready for framing. Send us a note about your event from our “Book a Party” page or “Contact Us” page. Once we get the details we can get your event on our calendar. I have no artistic talent – Will I be able to get through the class? Absolutely! No talent required. We provided easy step-by-step instructions and walk you through the process. You will be amazed at your finished piece of artwork. There is a 7 day cancelation policy. If less than 7 days your credit card will be charged for the event minimum. What do I need to bring to class? No supplies needed. We provide all art materials.Watercolor paper/brushes/paint/mats. If your event is at one of the art studios we work from – you can BYOB (bring your own beverages) and your own snacks too. What should I wear to class? You can wear what ever is comfortable. 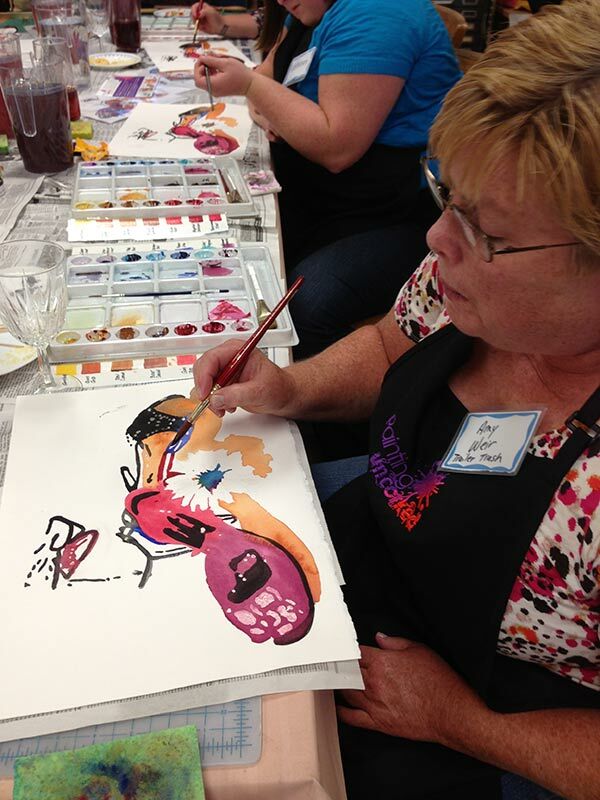 We provide art aprons for each participant. Our painting techniques are easy and provide little to no mess. Do you offer Open the the Public events? We occasionally offer open to the public events – where you can just register yourself and friends – with no need to book a private party. Check often and stay connected on our facebook page and this website. If I have further questions how do I contact you? © 2017 Painting Uncorked - All Rights Reserved.